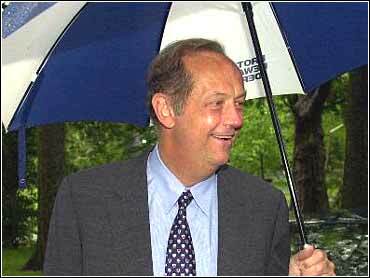 Former Democratic presidential candidate Bill Bradley turned down an invitation to become chairman of the U.S. Olympic Committee, but will likely join the USOC's board of directors later this year. Bradley, who was approached in July, seriously considered taking the position but wasn't sure he could devote the time necessary to do the job properly, the head of the USOC's nominating committee said Thursday. Instead, Bradley will be nominated for the board of directors, along with other notables such as Henry Kissinger and Cleveland Cavaliers owner Gordon Gund at the organization's meeting in December. "He is willing to get involved and will be nominated," said Steve Richards, head of the USOC nominating committee. A list of officers and board members recommended by the nominating committee was obtained Thursday by The Associated Press. The committee recommended Paul George, a lawyer and longtime member of the board, to be the new chairman, replacing William Hybl, who is stepping down after one term and is expected to be named later this month to the board of the International Olympic Committee. George has been a board member since 1989, representing figure skating and, later, hockey. He has served as a vice president the last four years. "I feel ready," George said. "I think this is the next logical step for me." George said he didn't feel that he was a second choice to Bradley, and thought the nominating committee was right in feeling Bradley out about the position. "He's a great American," George said. "He would have done a great job." Richards said that after Bradley turned the job down, the committee considered George and Sandra Baldwin, a former president of U.S. Swimming, to be the new chairman. Under the USOC's reorganization under new executive director Norm Blake, the president's position held by Hybl becomes a position of chairman, with less responsibility for day-to-day activities. "There were two very respected, experienced people considered," Richards said. If no other candidates are put forward by petition by Oct. 18, the slate recommended by the nominating committee will be the only one presented for a vote by the board of directors at its Dec. 2-3 meeting. Bradley, Gund and Kissinger will become board members from the public sector, assuming the board agrees to expand the public sector members by two at the meeting to include Bradley and Gund. Kissinger will be taking an existing spot on the board representing the public sector. Kissinger became involved in the Olympic movement earlier when he was named a member of the IOC 2000 reform commission, created in the wake of the Salt Lake City bidding scandal. "One of our goals is to gain influence in the international movement and who better to do that than Henry Kissinger," Richards said. Richards said Bradley waapproached in July because the committee thought he might bring a new perspective and stature to the USOC. "It was thinking outside the box to approach him, but we thought it was worth a try," he said. Bradley was not immediately available for comment.